Blue Lily created a pitch document on behalf of Melinda Boundy Design. 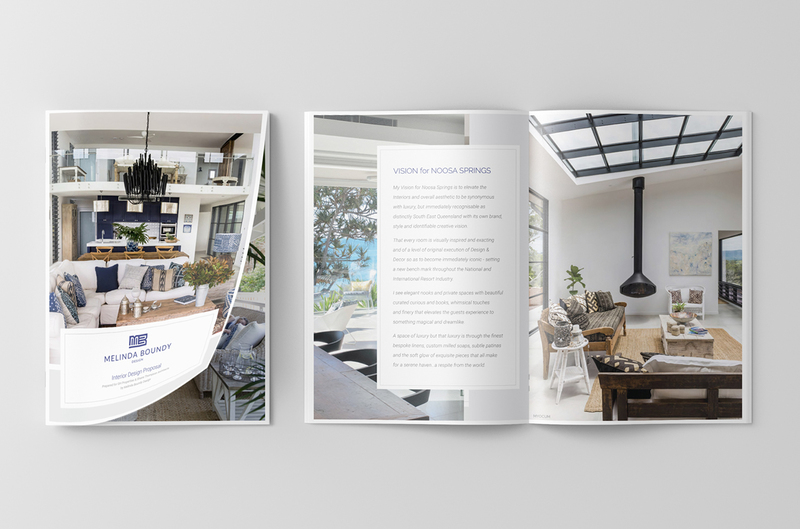 The document had specific guidelines it needed to adhere to but it also needed to showcase the beautiful Interior Design work of MBD. Blue Lily created a beautiful document that “wowed” its audience while still answering to the very specific brief the client was pitching for. It is also a document that can be used as a template for future communications.